One of the most common criticisms you'll see when people talk about games is "this game is repetitive." It is never delivered as a positive reflection on the game in question, and is either a "but" in "I really enjoyed this game but..." or is one of the defining characteristics about why a person didn't like the game. But let's have a talk about the use of "repetitive" as a pejorative, because in practice, it's a rather empty criticism. The reality is that all games are repetitive. Even the ones you don't consider to be "repetitive". It's just that you like the repetitions in a game you like, so you don't see it as being repetitive..
Take any game whatsoever, and really break down what you do in it. In every single case what you'll arrive at is a series of loops. That's the "gameplay". There might be a lengthy loop, and there might be a series of shorter loops running in conjunction, but ultimately every single game can be broken down into a series of activities that you will repeat frequently as long as you continue playing the game. Let's look at a couple of examples, from wildly different genres. 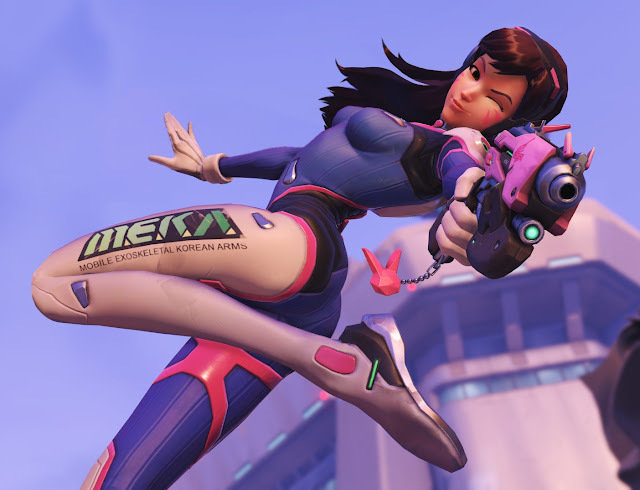 Overwatch, as an example of a multiplayer shooter, is repetitive. You'll select the same character over and over again (D.Va, if you're me), and you'll then play across one of a series of levels. Play enough times and you'll play on the same level more than a few times. Within each level, there are some nuances depending on which gameplay mode you're playing, but each time you'll be tasked with doing the same thing; tracking down your opponents and shooting them dead. Then a winner will be decided and you'll start that process over again. Steins;Gate, as an example of a visual novel, is repetitive. Almost the entire interactivity of the game involves repeatedly pressing a button to move on to the next "page" of text. The sole exception to that is the ability to have the main character pull up a phone in-game and send some text messages and responses to the other characters, but this process, too, is a gameplay loop and players need to repeat it a number of times in order to affect the ending they get from the story. Dead or Alive 5, as an example of a fighting game, is repetitive. Again, you'll pick a character that you've used plenty of times in the past, and then use them to fight other characters that you've fought previously, on levels you've already fought on hundreds of times. Once the fight starts, you'll input familiar button combinations, which will have predictable effects (i.e. the character will do a specific attack). Final Fantasy whatever-number, as examples of JRPGs, are repetitive. You'll fight hundreds of battles over the course of each adventure with enemies using a single combat system (it changes from game to game, of course), and then you'll fight bosses, which are tougher and have specific strengths and weaknesses. Exploiting those is a gameplay loop all into itself. You'll visit towns, talk to characters, and that will push the story forwards. You'll go into dungeons and explore those for treasure while dealing with yet more combat battles. All of these are repetitive gameplay or narrative loops. Hatsune Miku rhythm games, as examples of rhythm games, are repetitive. You select a music track, press a series of buttons in time with the music, and try to be as accurate as possible to get as many points as possible by the end. It doesn't matter what track of music you choose, you'll be doing that same thing each and every time. So, repetition isn't inherently a bad thing, making the use of the word as a pejorative an inaccurate way of measuring the quality of the game. What a person actually means when they criticise a game for being repetitive is that they "didn't like the gameplay loops that the game offers, or prefer the loops of another, similar game." That's wordy and would get dull to say or write each and every time, but calling something "repetitive" is nonetheless an arbitrary statement to make, since a person that makes that criticism of a game does, in fact, also like games that are repetitive. It's just that they like the loops of the games they like.